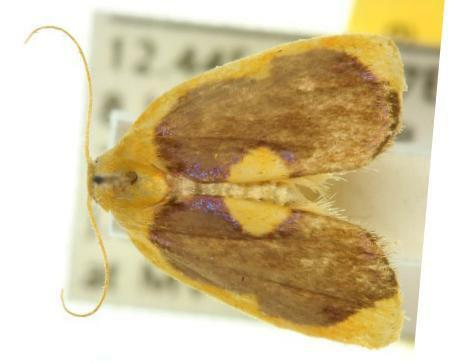 The adult moths of this species are, in general, shiny yellow. 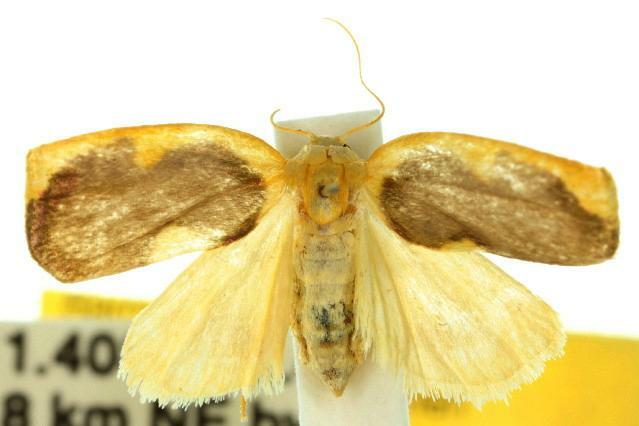 The forewings have brown markings with a purple sheen, sometimes extending over most of each forewing, but sometimes reduced to arcs and crescents. A constant feature is a yellow semi-circle on the middle of each forewing hind margin. 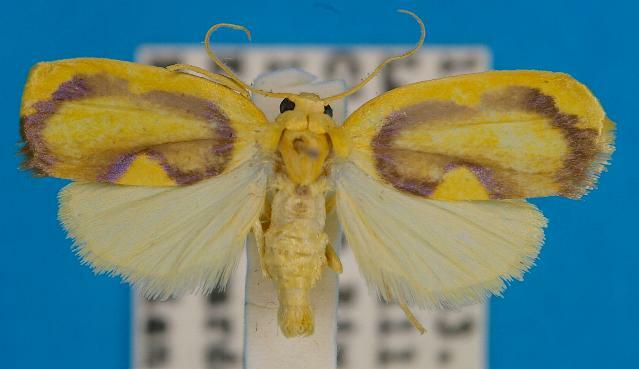 When the moth is at rest with the forewings closed together, these semi-circles appear to join to make a full yellow circle. The wingspan is about 2.5 cms. Volume 20 (1913), p. 222, No. 324.